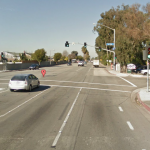 SAN BERNARDINO (November 3o, 2013) – Tammy Gosney McNeely was involved in a two car crash early Saturday morning which claimed her life. McNeely was southbound in a 2006 Mazda 3 sedan when it collided with a 2012 Toyota Tundra pick-up truck. The accident happened at 6:54 a.m. at the intersection of Del Rosa Drive and 9th Street. Tammy Gosney McNeely, a resident of San Bernardino, was pronounced dead hours later at Loma Linda University Medical Center. She was 45 years old. The driver of the Toyota Tundra was identified as 66 year old Larry Madril. Madril and his wife, Margaret Madril, were taken to St. Bernardine Medical Center with unknown injuries. Their seven year old grandson, also in the car, was unharmed. Investigators are looking into the cause of the crash and trying to determine who had the right of way. If the driver of the Tundra is found to be at fault, the family of Tammy McNeely may be able to file a wrongful death suit against the driver. 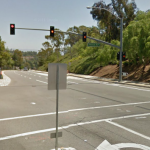 The intersection of Del Rosa Drive and 9th Street is controlled by a four way light. It is best practice for all drivers to proceed with caution when crossing intersections. Witnesses should contact the San Bernardino Police Department at (909) 384-5742. Our condolences go out to the family and friends of Tammy McNeely in her untimely and tragic death.